CONGRATULATIONS to DONNA VINCLER, Ms Tennessee Senior America 2017, and Special Thanks to Ms Senior Tennessee Inc, for a wonderful State Queen! Donna Vincler grew up in New Orleans, Louisiana where she trained in ballet, tap, jazz and gymnastics. It’s also where she discovered her love of performing. Following her graduation from high school, Donna’s parents moved the family to Mississippi. While enrolled as a full-time student at Southeastern Louisiana University, Donna started her first business, a dance school and also began dancing with the Baton Rouge Ballet Company. Four very busy years later, she graduated with a degree in Health, Physical Education and Dance. 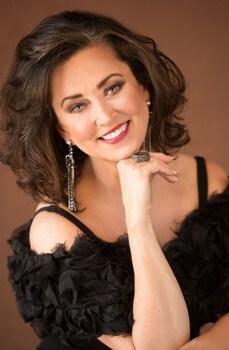 During her college years, Donna competed in the Miss America Program and was selected Miss Mississippi 1980 and 2nd runner up to Miss America 1981. She served our military as a member of the prestigious Miss America U.S.O. troop, performing extensively throughout Germany and Italy. Donna went on to share her talents as a choreographer and dancer in numerous Miss America state and local pageants, and even produced routines for the World’s Fair. Next, Donna followed her passion for dance to Los Angeles, CA expanding her teaching career and her work with children. It is also there that she discovered the spiritual side of her art through liturgical dance. Settling in the Nashville, Tennessee area 24 years ago, Donna opened the Brentwood Dance Academy and founded a summer performing arts camp for young children called Kids Biz. She even produced choreography for the Alan Jackson Christmas Special. Today Donna owns and operates Kinderdance® of Tennessee, a company in its 12th year, providing dance, movement, fitness and sports prep classes to young children. She was awarded ‘Franchise of the Year’ by Kinderdance® International and was invited to join their Advisory Board that year. Her peers from around the world presented her with the ‘Rockin’ Role Model’ Teacher Award at their annual conference. Donna’s first love may be dance, but she has found many outlets for her creative gifts. She enjoys fashion design and sewing, creating silver jewelry, renovating and remodeling real estate along with volunteering at her church and at NHC, Assisted Living Center. Donna was the grand prize winner in a fashion design contest sponsored by Cheap Chic Weddings and Charmin® when her daughter, Aubrey modeled her wedding gown entry in the 2015 Toilet Paper Wedding Dress Contest. Her creation was selected out of over 1400 entries, with the final round of competition being a judged fashion show at Kleinfeld Bridal in New York City. Donna is married to her wonderful and supportive husband, Mark. Together they enjoy real estate investing, property management and doing remodels together. They are blessed with one recently-married beautiful daughter, Aubrey and a new son-in-law, Matt. Donna and Mark also have two fur babies- Angus, an overly affectionate black Labrador and Andouille ‘Dewey’, a miniature dachshund.